An NHS trust in Bristol has been praised by the health watchdog for drastically turning around its service. University Hospitals Bristol NHS Foundation Trust was rated as "requiring improvement" by the Care Quality Commission (CQC) two years ago. Now it is one of the highest rated in England and the first to have jumped to "outstanding" between two inspections. CQC's chief inspector of hospitals, Professor Sir Mike Richards, said it was a "tremendous achievement". 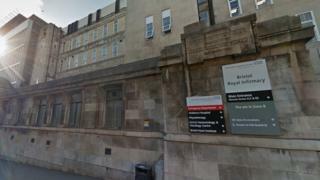 The trust, which runs Bristol Royal Infirmary and seven other hospitals, was praised for its strong culture of safety in the CQC report. Prof Richards said the trust's "determination" to develop a culture of continuous improvement had improved services for patients. Health Secretary Jeremy Hunt said the success was a "fitting tribute" to "outstanding" staff.